We have all heard of Make-A-Wish, a foundation that grants the wish of a child diagnosed with a life-threatening medical condition. This wonderful organization operates on the belief that one wish can be a game-changer, and inspires positivity in children and the world. Last year, I had the amazing opportunity to visit St. Jude Children’s Research Hospital on behalf of Lady And The Blog, and I could see with my own two eyes what a world of difference a little positivity can make. Some of the stories I had heard while visiting St. Jude were of patients that had wishes granted to them by Make-A-Wish, and they weren’t just wishes- they were miracles to these incredibly brave children. Make-A-Wish recently launched the Give Wishes Wings campaign, opening new creative opportunities where any one of us can make a difference with little sacrifice. Did you know that each year, trillions (!!!) of airline miles go unused each year? Instead of letting those miles expire, or trading them in for magazine subscriptions, you can donate your unused frequent flyer miles on a number of airlines. Participating airlines include JetBlue, Alaska Airlines, American Airlines, Delta Airlines, and United. Nearly 75% of wishes require travel for that child and their family. By coming together and donating our unused miles, no matter how little, we can help a child meet their wish. I know I have a bunch of miles scattered across various airlines– they’re not enough for a first-class upgrade, or to really get anywhere, so it’s no loss to me to give them away- only gain. The process to donate miles couldn’t be easier- it’s as simple as visiting givewisheswings.org. The stories of how children encounter their wish are so beautiful (and will grab tears from you whether you like it or not!). Six year old Addison, a brave little girl from Georgia battling lymphoid leukemia, believed the rain forests in Hawaii were full of enchantment. 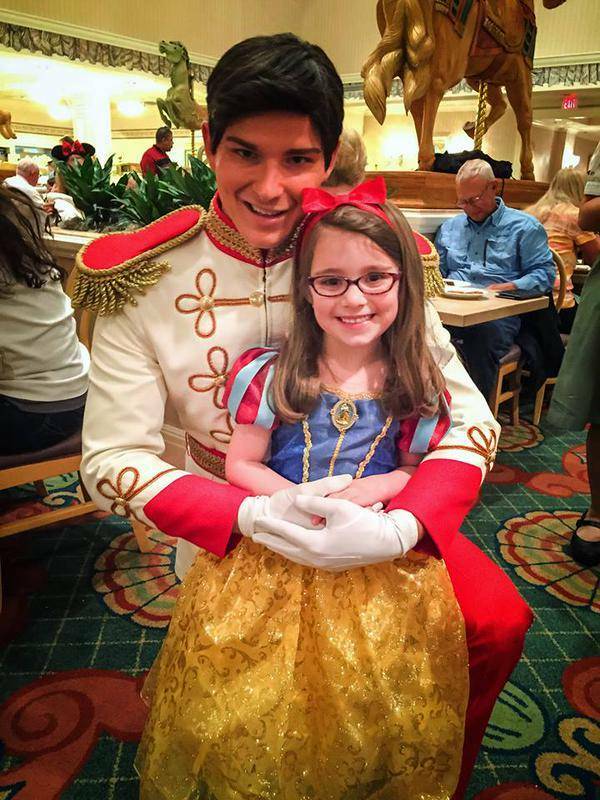 Make-A-Wish granted her an incredible experience from that belief. So much thought and involvement from community took place in an elaborate quest where Princess Addison took on a journey through the fairytale town of “Aboretia,” whom had been kidnapped. What awaited Princess Addison was a number of lovely surprises and tasks, and ultimately, an encounter with a real-life unicorn. 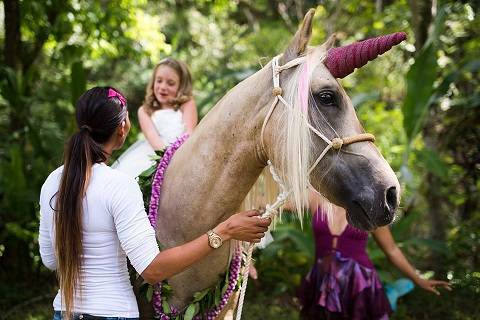 Through the dedicated help of local volunteer actors, and an enchanting unicorn played by a horse named Sonny who spent months training to perform the special bow for Addison, while wearing a glittery pink horn on his head. Can you imagine how magical this must have been? Princess Addison gleamed with excitement as she and the mystical creature floated away through the rainforest, and experienced their very own “happily ever after”. There are so many beautiful and unique stories of how a child’s dream has been made to come true. Visit givewisheswings.org to learn more about how you can join us in literally delivering these wonderful children to the experience of a lifetime.